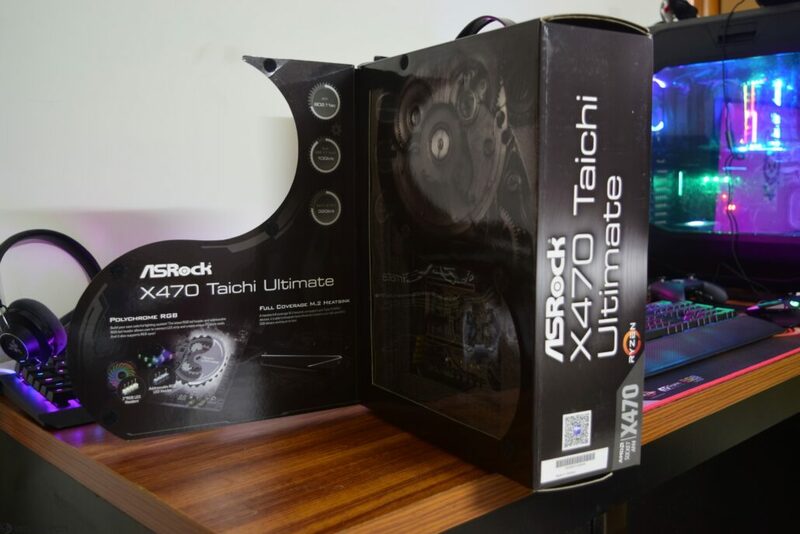 The ASRock X470 Taichi Ultimate comes in a large rectangular box with an easy carry handle on the top. 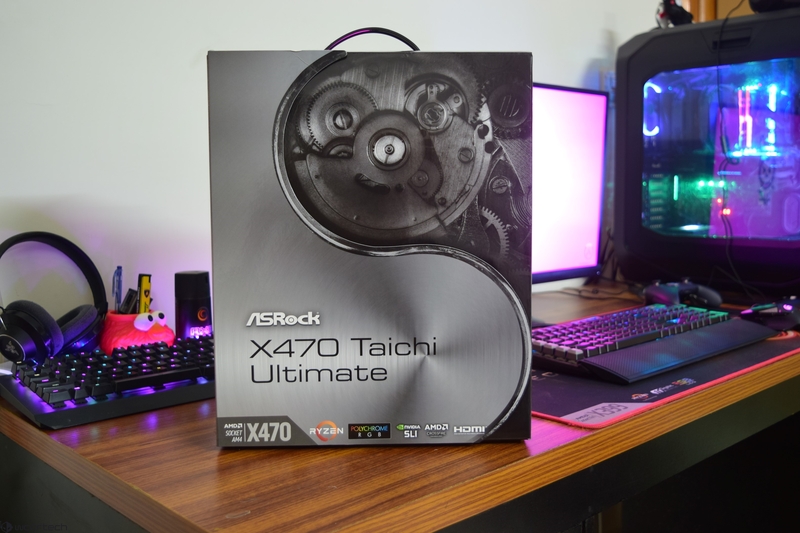 The motherboard is a refreshing change from the previous Taichi packages with a slight bit more focus on the Taichi theme that is shown in the box this time around. The package is colored in silver and black and houses multiple labels which can be seen. 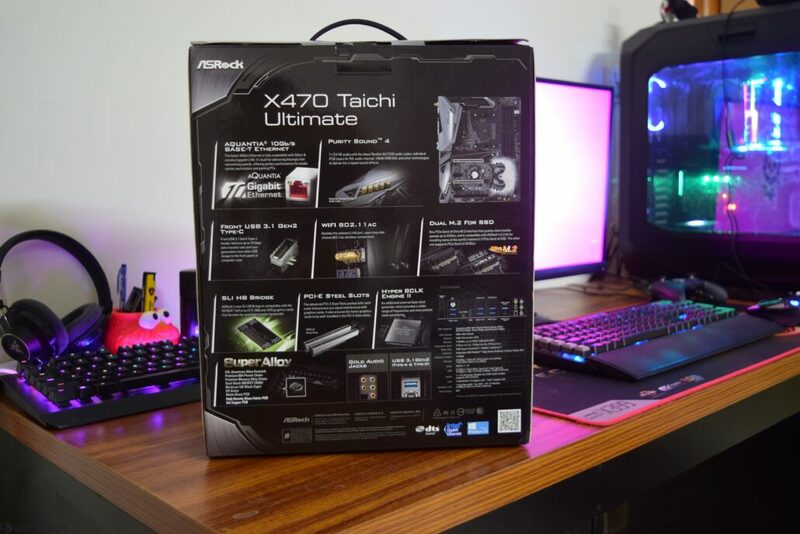 The front side of the package features the ASRock X470 Taichi Ultimate branding along with several brand logos that include AMD Socket AM4, X470, Ryzen, Polychrome RGB, NVIDIA SLI, AMD CFX, and HDMI. 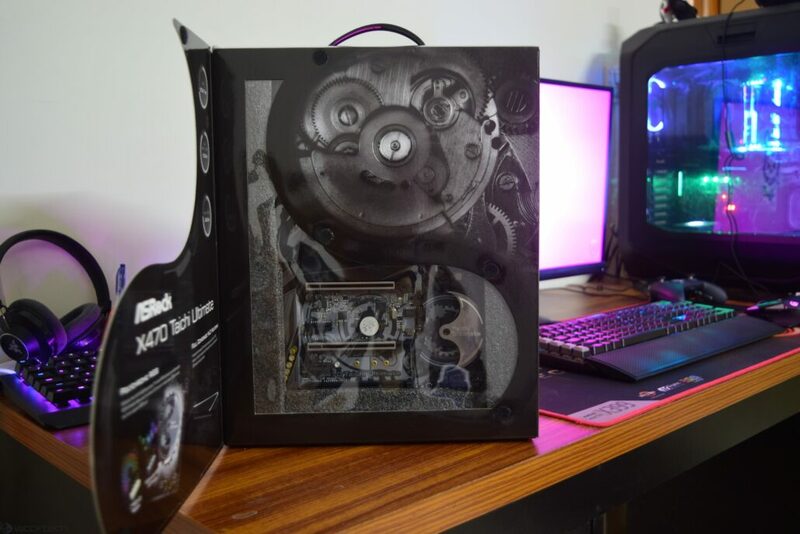 The front also comes with a flip cover that opens to reveal a few more interesting specs and features such as Polychrome RGB and Full coverage M.2 heatsink. 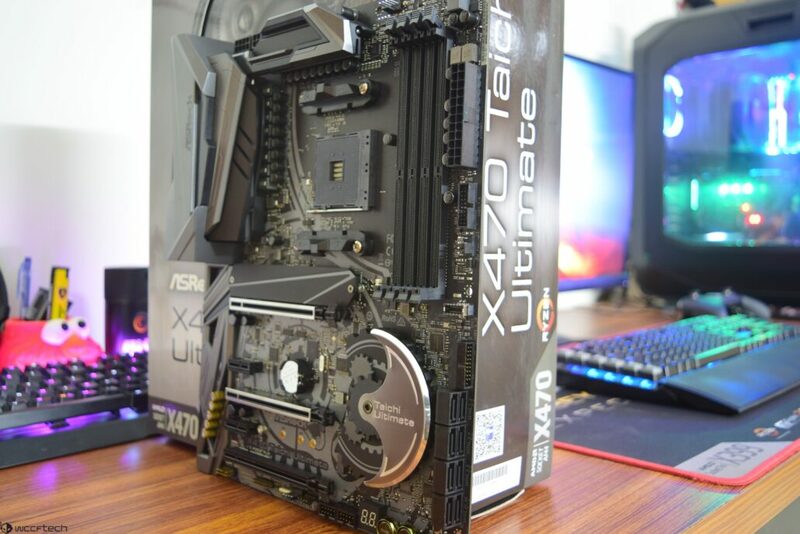 A small plastic cut out gives us a first look at the motherboard. 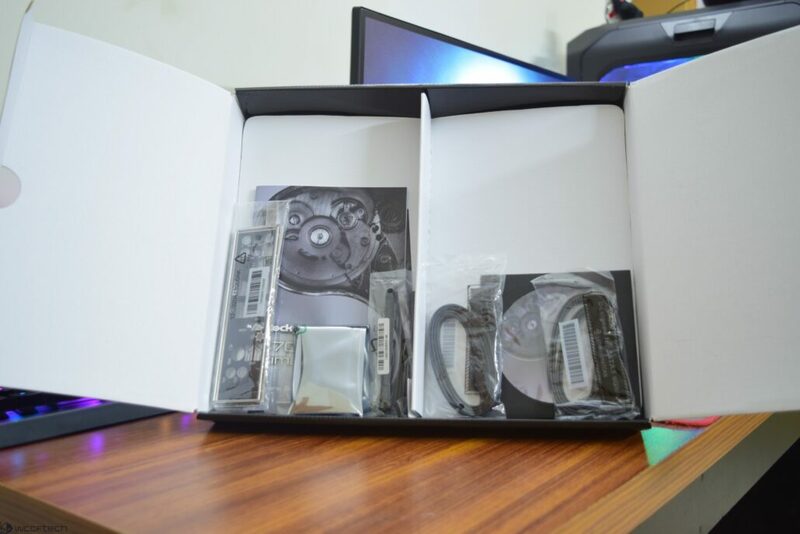 The back of the box contains all the marketing details along with product specifications. 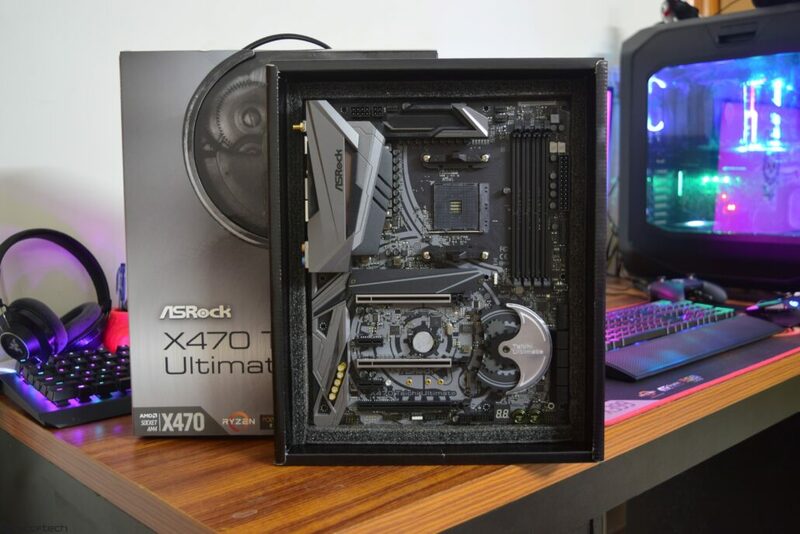 The most interesting features that are highlighted by ASRock include Aquantia 10 Gb/s Ethernet, Purity Sound 4, Front USB 3.1 Gen 2 Type-C port, WiFi 802.11 ac wireless connectivity, Dual M.2 SSD support, SLI HB Bridge, PCI-e Steel slots and the Hyper BCLK Engine II which is part of the Super Alloy design scheme. Outside of the package, the motherboard can be seen well placed in two foam containers that hold the motherboard nicely in place. The motherboard gives off the premium feel that I was expecting and can’t wait to test it out with Pinnacle Ridge series processors.